How to use Google Analytics to improve my event? 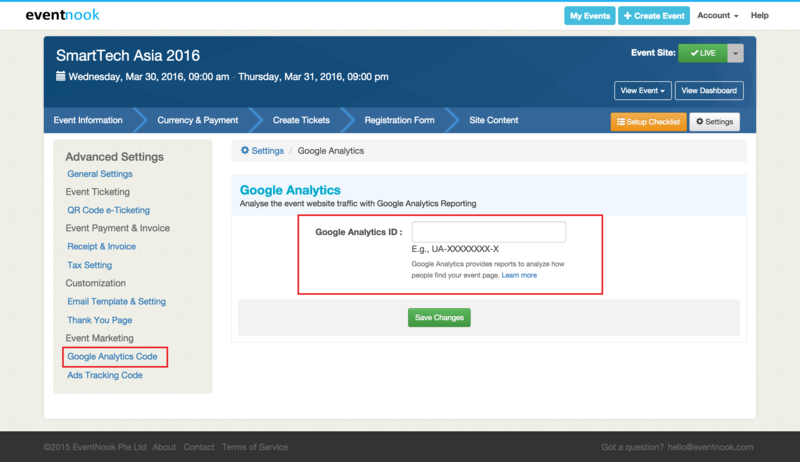 EventNook allows event page to integrate with [Google Analytics] by simply entering your Google Analytics Tracking Id (E.g., UA-30312905-1). With Google Analytics, you can analyse details of website visitors and traffic as well as measure the performance of online event marketing campaign. You can access it by visiting the Dashboard and going to Settings under Setup. Edit the “Google Analytics Code” in left panel. Sign up Now to try it free!